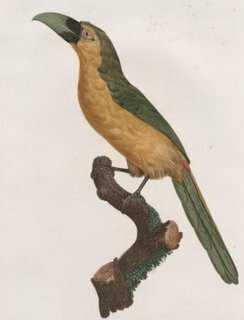 Levaillant was a notable ornithologist originally from Surinam but educated in France, who went on a couple of exploratory tours of Africa. 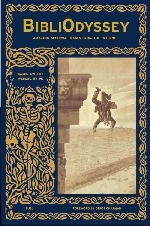 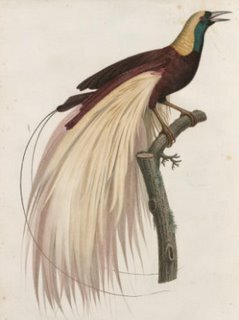 He released 2 sets of popular volumes recounting his travels and documenting the birds of Africa and later wrote a number of other ornithological works. 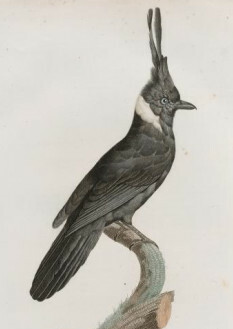 Because of his opposition to Linnaeus's binomial nomenclature system, species were only given popular french names (in the image URLs above). 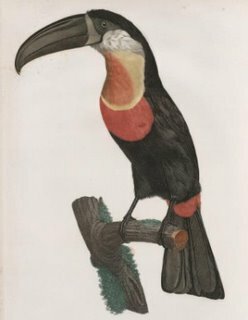 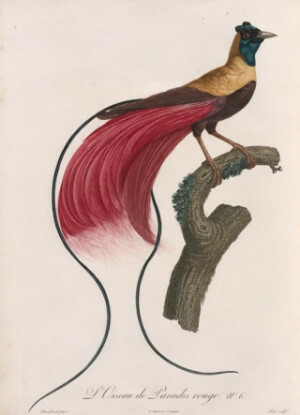 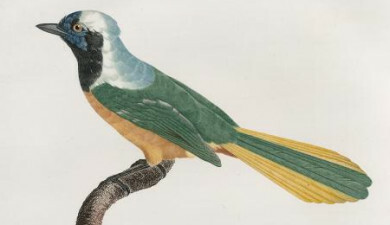 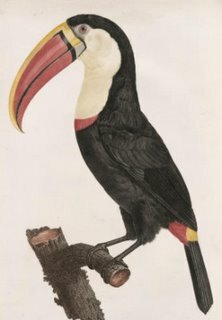 Barraband is considered to be the leading French ornithological artist of the 18th century.